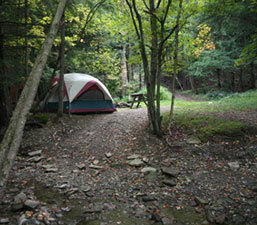 Stay 7 nights and get the 7th night free (Tent/RV sites only). This special is available all season. Prices are per night and do not include tax. All prices are slightly higher for holiday weekends. Mid-April to Memorial Day Weekend and Labor Day to end of October(open in November for hunters only, Arapahoe bathhouse will remain open/hot showers). All rates are per night. Excluding Holiday weekends/Columbus Day weekend. Sunday night through Thursday nights only. This special is available all season. 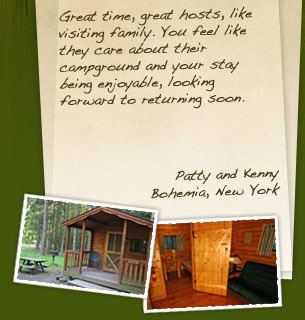 All reservations require a 1 night deposit. We accept Visa, MasterCard and Discover. If you prefer to pay by check/money order, your payment must be received within 7 days of making your reservation. Three night minimum stay required for holiday weekends (Memorial Day, Labor Day, 4th of July, Columbus Day). You must be 21 year of age or older to make a reservation. 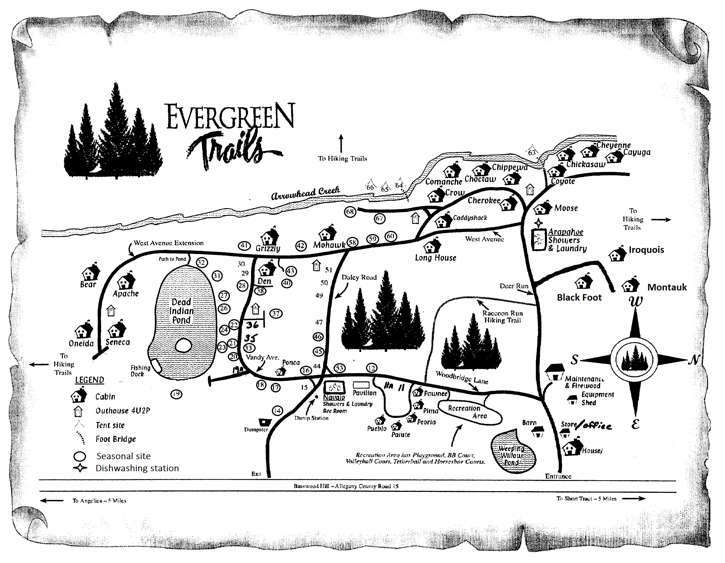 NOTICE: The renter accepts all liability of any defacing or damaging of Evergreen Trails property or cabins and agrees to pay for any repairs rendered due to such acts caused by any member of their party. All but $10.00 of your deposit is refundable if you cancel at least 7 days prior to your arrival. If you cancel within 7 days of your arrival date, you forfeit your deposit. Failure to show constitutes forfeiture. Once you are checked in, you are responsible for the entire length of your reservation. No refunds for early departure or weather. No refunds for holiday reservations.